Managing business services and applications that run across infrastructure that comprises a multiplicity of diverse, dynamic technologies. You keep hearing the word, “agility.” It seems to mean different things to different people, but they all agree it has helped to make their organizations more competitive by enabling the quick adoption of tools necessary to be productive. Business managers and executives love to boast about their agility, but the C-suite kudos come with a price. 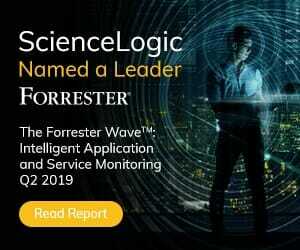 Managing business services and applications that run across infrastructure that comprises a multiplicity of diverse, dynamic technologies— containers, clouds, and micro-services as well as legacy systems—comes with significant challenges. Challenges that are now too hard to solve manually. Machine speed is required. That means they can’t be solved with the same IT Operations (IT Ops) platforms you acquired a few years ago. A new approach is needed; an approach that is fast and intelligent and developed with today’s tech in mind. To keep pace, you need to leverage the power of machines with the end goal of automating. You need artificial intelligence for IT operations or AIOps. But the move from IT Ops to AIOps isn’t incremental. It’s transformational, takes planning, and it helps to learn from the experience of others. • Timeliness – Traditional service management systems typically update their configuration management database (CMDB) daily or weekly, while monitoring systems might update their asset base every 15 minutes. That’s way too slow. Today’s agile environment demands real-time updates to keep pace with common configuration items (CIs) like cloud devices, containers, microservices and serverless compute. If you plan on automating (which is often the goal of enterprises undergoing a digital transformation) nothing short of real-time data updates will do. • Context – Enterprises have never generated and collected as much data as they do today, yet a recent study by Digital Enterprise Journal found that more than 70% of the operational data collected by IT organizations is not considered actionable. Why? Because it lacks context—knowledge of the relationships and associations between CIs. Since agility means your environment is always changing, context is required to know not only what has changed at any moment, but how those changes affect key business services and mission-critical applications. In an agile environment, changes anywhere can affect performance everywhere. That’s why it’s important to see and understand your environment at the business services level. AIOps platforms can collect data and apply business context and topology metadata to construct service maps that enable the tracking of entire business services in real-time. Providing clear insights in this way enables better decision making at all levels, helping to reduce the risk of operational failure by preventing the introduction of elements or changes that could result in failure or sub-optimal performance. Traditional IT management and monitoring approaches are rendered obsolete by today’s dynamic, hybrid network environments. However, with an AIOps engine that’s using clean and contextual data, you can apply real-time discovery and infrastructure mapping to not only achieve rapid fault isolation and reduced mean time to repair (MTTR), but also get an accurate business impact analysis, reduce event noise, and reap the cost-saving benefits of outage prevention and reduction for critical applications. 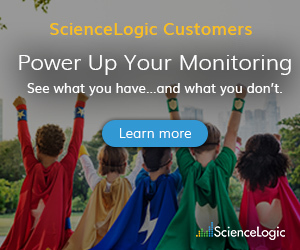 By enriching the CMDB with real-time, accurate, and contextualized data, your AIOps platform can use it as a “single source of truth” for effective automation, including operations like self-healing, remediation, incident generation, incident handling, triage, notifications, and more. The dynamism of today’s IT environment means you can’t rely on a static CMDB; otherwise you’re automating bad results based on old data. However, with an enriched CMDB that has contextual metadata, relationships and diagnostic detail, you can power a fully automated incident handling process by routing incidents to the right operations teams for investigation while eliminating false positives. 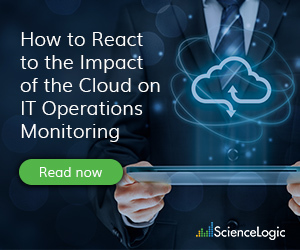 Without complete visibility and control over their cloud instances – especially those in the public cloud – IT Ops is limited in its ability to manage resources and identify unusual or unauthorized account activity. That puts the enterprise at risk of costly cloud sprawl, leading to a variety of unintended consequences. With AIOps, however, IT Ops teams can establish policies based on best practices to ensure appropriate levels of authorization, security and efficient use of cloud resources. Taming cloud sprawl this way not only cuts costs, but it enhances security. However your organization defines agility, achieving it requires a technical foundation capable of keeping pace with the demands of today’s complex, dynamic network environment. From there, you need to plan and execute a strategy that considers the importance of clean, contextualized data. With the right pieces in place, you’re empowered to embark on a journey of digital transformation that supports innovation and is aligned with the organization’s business goals. To learn more about AIOps and how it can benefit your company today, read our latest whitepaper: Unlock the Power of AIOps: From Vision to Reality.